Richie Stanaway moves to Garry Rogers Motorsport in 2019 for his second Supercars season, following a difficult rookie campaign with Tickford Racing. Boasting an impressive international record and having performed strongly in a pair of PIRTEK Enduro Cups, much was expected of the Kiwi. His year was ultimately one to forget, splitting with the team before his GRM lifeline arose. The New Zealand Formula Ford champion in 2009, Stanaway went on to be champion in the German ADAC Formula Masters series the following year. That was after dominating his Toyota Racing Series debut at the 2010 Hamilton 400, taking the outright lap record in front of the Supercar paddock. He was German Formula 3 champion in 2011, before progressing to win races in GP3 and reach the podium in Formula Renault 3.5, his '12 program in the latter curtailed by a back injury. A step up to Formula 1’s major support category GP2 – now known as Formula 2 – in 2015 netted two race wins, including the feature race victory in Monaco. Stanaway's tin-top experience includes a season in the Porsche SuperCup with the DAMS team in 2013, the year he joined Aston Martin as a factory GT driver. He was part of the British manufacturer’s GTE efforts in the World Endurance Championship and the Le Mans 24 Hours until 2017, taking pole in the GTE Pro class for the French classic in ’15. Making his Supercars debut, Stanaway impressed in the 2016 Enduro Cup in Tickford’s Super Black Racing entry and joined Cameron Waters in '17. They took out the Sandown 500 and finished third in the three-event standings, before Stanaway's step up to full-time competition. 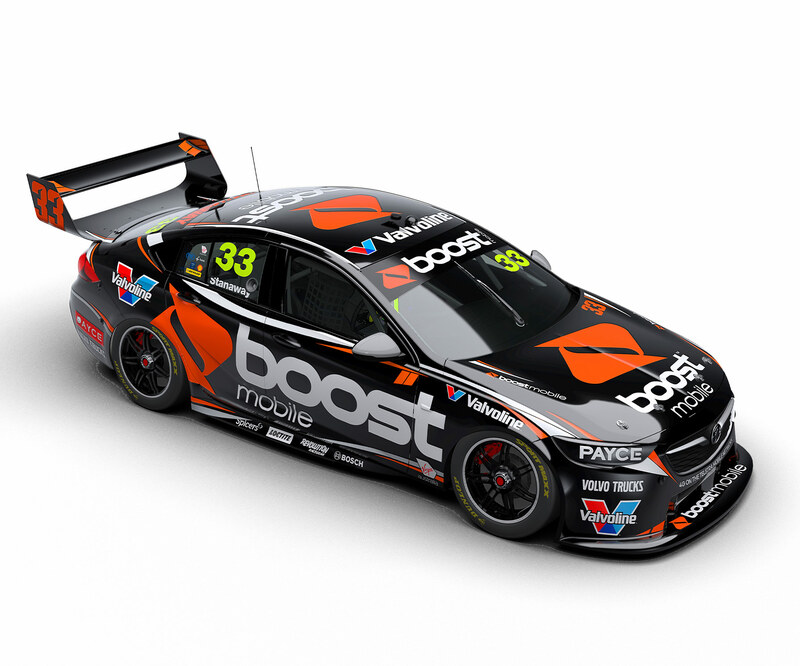 Garry Rogers Motorsport welcomes new backer Boost Mobile and a new driver in Richie Stanaway in 2019.